Running the conference as a non-residential conference in the heart of London. Staying in a hotel literally around the corner. Morning running along the Thames. Meeting old and new acquaintances inside and outside of the conference. Running the Business Value Game including a workshop with Vera and Portia. 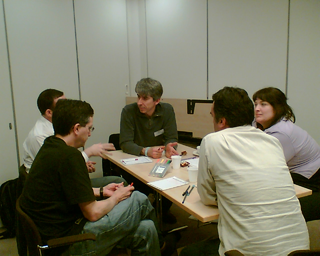 The game was designed to help our customers think about how they prioritise the project. The game doesn’t give answers, it raises questions. More about the workshop and its results later. 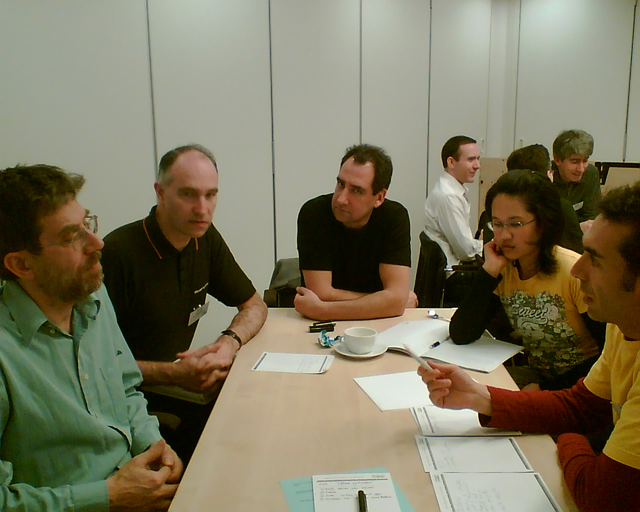 Preparing and running a tryout of “The First Five Steps to Become Really agile“. A big thank you for the 7 intrepid players who gave us plenty of feedback to improve the session. The conference closing with concrete actions to follow up on the conference. I’ll have to write about cost and value estimation and about incremental funding and real options. Like to have a bit more room in the sessions and during lunches and breaks. The size of the venue was ok for the number of participants, but only just. Put some shorter sessions into the program. Two sessions a day (+ a keynote or BoF) doesn’t give much variety. Let presenters and organisers work together to improve their proposals collaboratively, like we do it for XP Days Benelux. The quality of the sessions and proposals improve a lot, even those from experienced presenters. Give session (and BoF?) presenters some time to pitch their session to help us to select the session with the most (business) value. Improve the Business Value Game presentation, so that the game is clearer from the start. Ask more concrete questions, set more detailed goals for the follow up workshop. Vera, Portia, Laurent and I will improve the Business Value Game with the feedback from the participants. Next games: Mini XP Day Benelux (in English) XP Days France (in French).